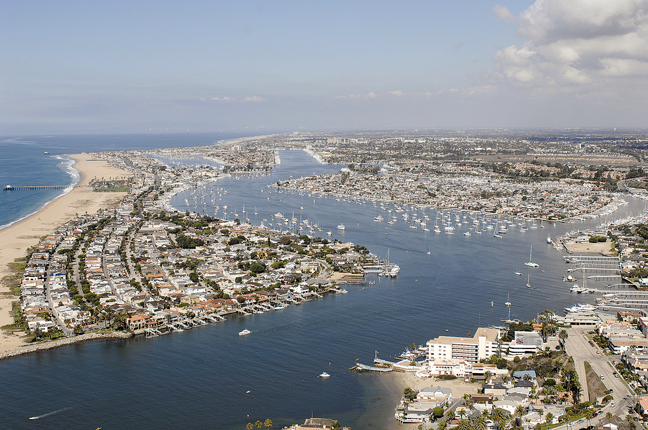 NEWPORT BEACH — In what was perhaps its final meeting of 2014, the Newport Beach Harbor Commission looked to the year ahead and made its resolutions for 2015 at its Nov. 17 meeting. The five objectives that will support the commission’s responsibility to ensure the long-term welfare of Newport Harbor include approval of the Newport Shallow Waters Eelgrass Mitigation Plan; complete the development of recommendations for the best public uses of Lower Castaways; secure California Department Recreation approval for a proposed speed limit exception for sanctioned sailing events; create a forum for dialogue with representatives of the harbor Charter Fleet to streamline charter boat operation standards and collaborate with the Marine Committee of the Newport Beach Chamber of Commerce to support water-dependent commercial and recreational activities. The remaining five objectives on the commission’s list promote the harbor as a preferred and welcoming destination for residents and visitors alike. The commission aims to fully evaluate public moorage and anchorage alternatives; update and publish the latest version of The Complete Cruising Guide to Newport Harbor; look into whether there are enough launch ramp facilities to meet the harbor’s demand; evaluate the viability of a waterbus service and establish a policy on the operation of water-propelled vessels. Looking back, Avery said some of the commission’s previous objectives focused on accessibility of and connectivity to the harbor. One priority for 2015 is Lower Castaways. “In our 2015 objectives we are working on a plan for the Lower Castaways parcel at the bottom of Dover Drive, which is essentially to improve it for better public access to the harbor by bikers, walkers, and people who want to launch kayaks, paddleboards, and other human powered craft,” Avery said. He also pointed out some challenges such as revisiting the Harbor Code for potential improvements and how to implement a waterbus service. Newport Shallow Waters Eelgrass Mitigation Plan: An application for a Regional General Permit filed with the California Coastal Commission was deemed complete in mid-November. City officials will likely present in front of the commission within the next six months. Before then, the Tidelands Management Committee is scheduled to discuss the Eelgrass Management Plan in January. Water-propelled vessels: In January, the City Council will be taking action on whether water-propelled vessels – also known as jetpacks – will be allowed to operate in Newport Harbor. The Harbor Commission voted in October to prohibit water-propelled vessels in the harbor. Whether the City Council will side with the commission’s recommendation remains to be seen. Launch Ramps: Commissioners Duncan McIntosh and David Girling are charged with investigating the availability and sufficiency of launch ramp facilities. Once findings are presented to the rest of the commission, any recommendations for changes or updates must be presented to City Council. Waterbus Service: Harbor Resources staff and the City Council will evaluate a potential waterbus service. In June, an ad hoc committee was formed to determine whether a waterbus or taxi service within the harbor would be feasible. Commissioners Dave Girling, Joe Stapleton and Doug West were named to the committee. The ad hoc committee found while there was “significant interest” in something like a waterbus or taxi the seasonal demand would likely vary. It was also difficult to forecast ridership levels, the committee concluded. Further, committee members said Newport Harbor’s size and 5 mile-per-hour speed limit could possibly restrict any on-demand service. Lower Castaways: Referred to by city staff as “the last remaining undeveloped city-owned waterfront property,” this section of land near the intersection of Coast Highway and Dover Drive has been used as a staging area for dredging, among other small projects. If developed, Lower Castaways could become a recreational destination. Potential features of a future development include a public pier and boat storage facility, on-site restaurants and a community garden or park, among others. Public Moorage and Anchorage: An anchorage could be placed in the Turning Basin, similar to the temporary anchorage placed there during the 2012 Lower Bay dredging project. Also being contemplated are day moorings near Big Corona beach. Racing: Commissioners West and Paul Blank were tasked with securing the state’s approval of a proposed Harbor Code amendment seeking to create an exception to the harbor speed limit for sanction sail racing and human-powered racing events. If the state does grant support of such an amendment, the Harbor Commission would then approach the City Council for final approval.